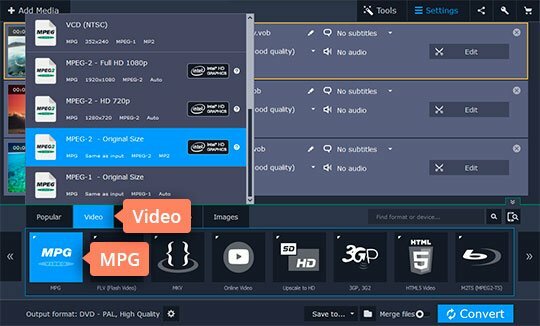 Are you looking for fast-working software to convert your MOV files to MPEG? Look no further! 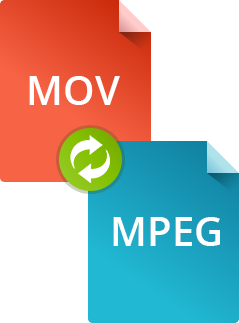 Download the Movavi MOV-to-MPEG converter and change the format of your files in no time. Launch the program file to install the converter. You’ll be guided through the setup by the instructions on your screen. Hit the Add Media button, then Add Video and choose the videos you want to convert. Open the Video tab. Here you will find the MPG category. Click on it to expand the list and select the appropriate preset. 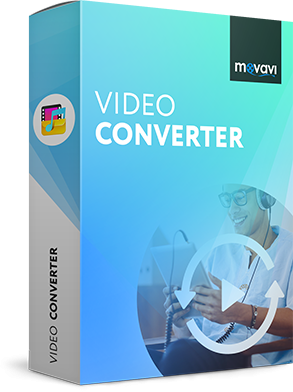 As Movavi Video Converter supports over 180 video and audio formats, you can use the program for converting MPEG-2 to MOV, MOV to MPEG-2, or any other format pairing of your choosing. 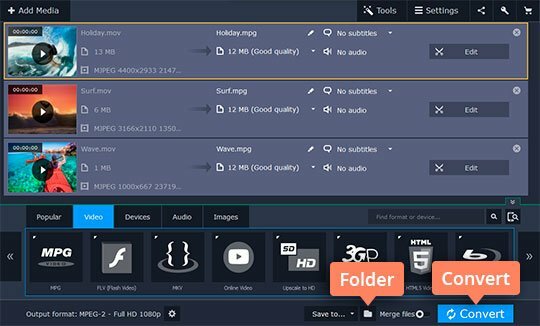 Click the Folder icon and locate the folder where you want the converter to save your newly created MPEG files. Then click Convert to initiate the conversion process. 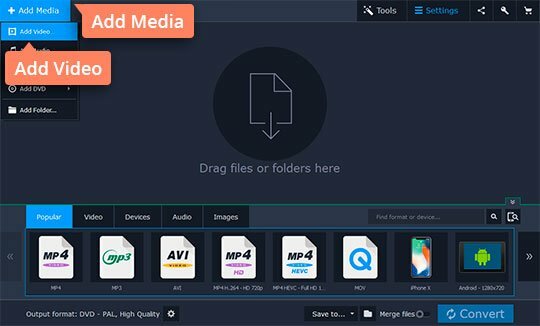 Once the conversion is complete, the folder containing your MPEG videos will open automatically.